Combining the therapeutic properties of dead sea salt with the gentle cleansing properties of our natural handmade soaps, our Skin Therapy Dead Sea Soaps are great for helping to create soft and healthy skin. Handmade Soap - Made with saponified 100% pure olive oil combined with the therapeutic properties of a mineral rich dead sea salt brine. Handmade Soap - Made with saponified 100% pure olive oil combined with the therapeutic properties of a mineral rich dead sea salt brine and our therapeutic body balance essential oil blend. 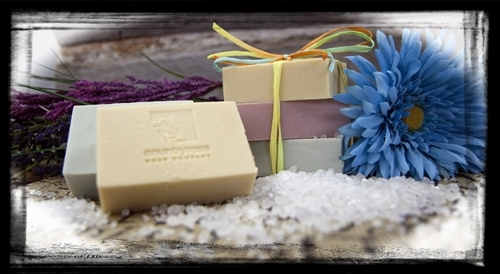 Handmade Soap - Made with saponified 100% pure olive oil combined with the therapeutic properties of a mineral rich dead sea salt brine and our therapeutic skin therapy essential oil blend.